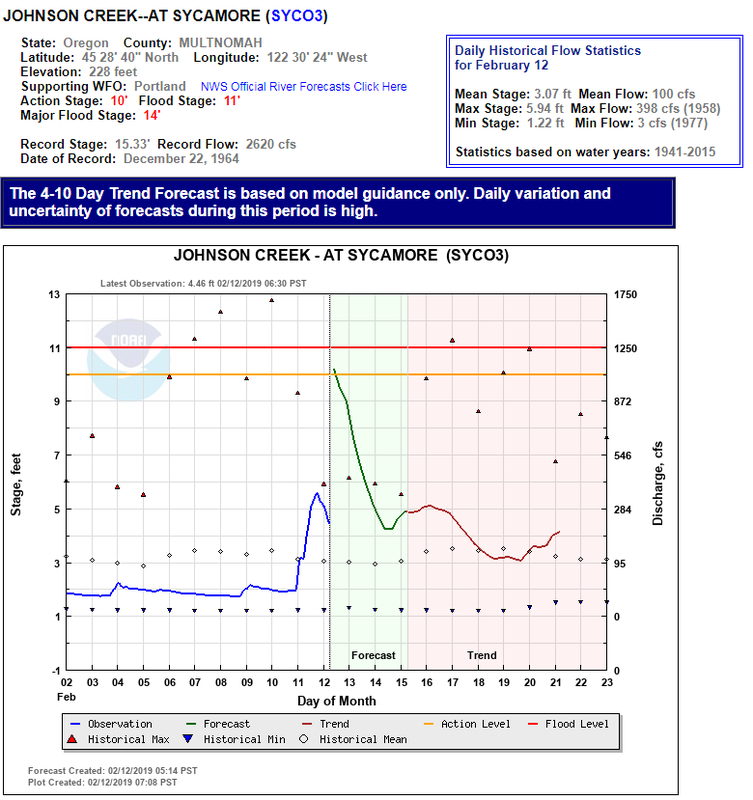 Click Here To See The Current Water Levels on Johnson Creek in SE Portland. * Until 815 AM PST..
or will fall over the next several hours in the advisory area. and creeks in the Willamette Valley Tuesday and Tuesday night. Vancouver Area and I-5 Corridor in Cowlitz County. possible Tuesday and Tuesday night. Landslides and debris flows are possible during this flood event.